The Russian Federal Aviation Agency (Rosaviation) has issued a supplemental type certificate for the Ka-226T helicopter, allowing the machine to operate at high temperatures. Ka-226T is a product of Russian Helicopters Holding, a subsidiary of Rostec State Corporation. The document will allow Russian Helicopters to start exporting the helicopter to countries with hot climates. The Rosaviation-issued certificate has become a result of testing, carried out by Russian Helicopters specialists and Iran Helicopter Support and Renewal Company technicians in Iran in September 2017. The testing was done in order to prove normal functioning of the machine at outdoor temperatures up to 50 С. “The potential users of our helicopter had a chance to learn about its capabilities at a news conference we had upon completion of the testing in Iran last fall. 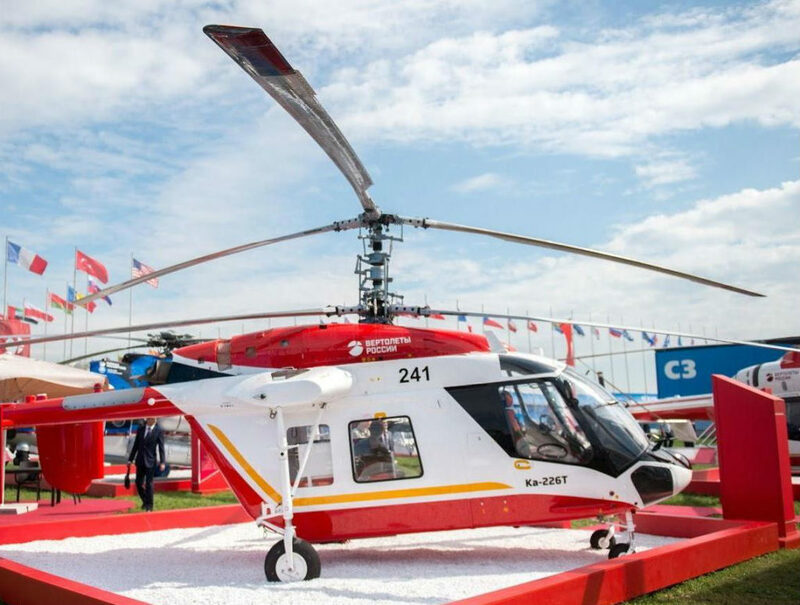 Naturally, the official approval will help us negotiate with companies interested to purchase the machine,” said Russian Helicopters Holding director general Andrey Boginsky. The Ka-226T light, multi-purpose helicopter features two turbo shaft 580-horsepower engines and full electronic control, as well as modern airborne avionics. The aircraft’s operating speed is 137 miles per hour (220 kilometers per hour) with an operating ceiling of 18,700 feet (5,700 meters). The machine has gross take-off weight of 3.6 tons and can carry up to one ton of cargo. Operation efficiency, compliance with modern ecological standards and modern aviation equipment are the features that ensure the Ka-226T helicopter to be in one of the top positions among other helicopters of the same class. The model incorporates modular design and can be easily adapted for different functionalities. It can be operated from small-sized touchdown sites and heliport decks, is suitable for around-the-clock operation, and boasts unlimited all-weather capability.